This drink has its own fan club. Some of its’ members park their car right out front of Mr. B’s while they run inside and get one to go. It’s so utterly rich and delicious that you’re likely to swoon. Our little trick is homemade vanilla ice cream. You can use cream or milk in place of ice cream, and I do at times so I don’t feel guilty having two drinks. 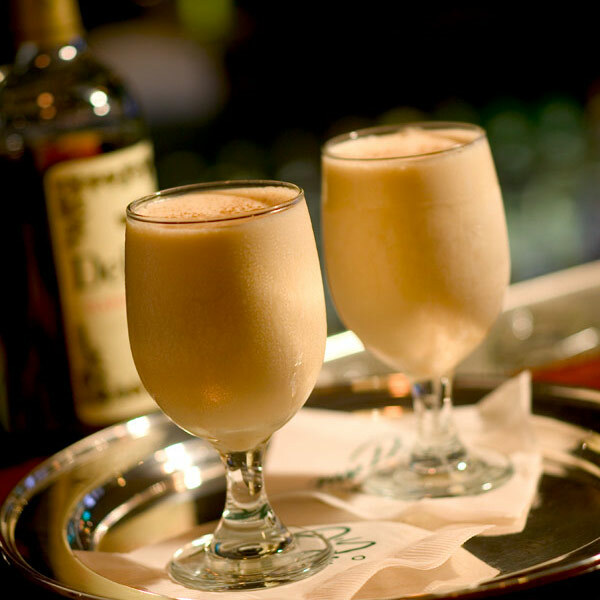 Here in New Orleans brandy milk punch is the preferred drink to make the morning after hangover disappear. It’s also very popular during the holidays. In a blender combine all ingredients except nutmeg and process until smooth. Pour in a glass and garnish with nutmeg.